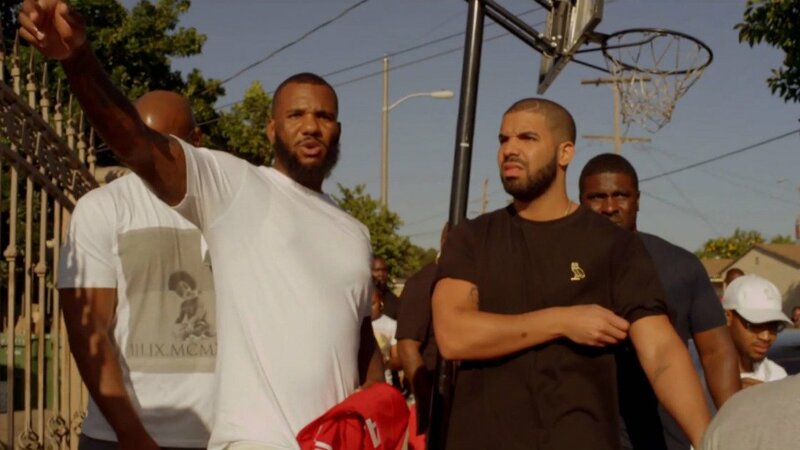 The Game and Drake hit the streets of Compton for Game's "100" video. The song was released back in June, now they've dropped the visuals. "100" serves as the second single to The Game's upcoming album, The Documentary 2, the sequel to his debut album, The Documentary. Directed by Theo Skudra, the video features The Compton rapper introducing the 6 God to his city. Slow shots of the neighborhood and its residents are shown as both rappers perform their verses among dozens of Compton natives. For more music, news, videos, and tour dates from The Game, visit his Zumic artist page.